Leading provider of PBM, PPO, NCM, MBR, HCN, and Utilization Review. TRISTAR Managed Care benefits claim administrators, employers, employees, and physicians. Click here to discover how. At TRISTAR Managed Care, our focus is on the injured worker and the employer. Our primary goal is to assist the injured worker in navigating a very complex medical environment. 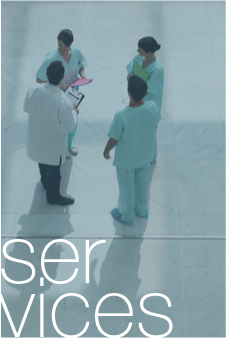 Utilization review ensures the patient receives the right care, at the right time, and in the right setting. Whether it’s a mandatory or voluntary state for utilization review, our team of highly skilled nursing and healthcare professionals work with the provider and injured worker to ensure the delivery of appropriate care. TRISTAR’s utilization review process is focused on expediting approvals for treatment that is necessary while consulting with our wide array of medical providers to review treatment that may not meet guidelines. Our automated system ensures a quick turnaround time, and integrates all industry recognized and state approved guidelines as part of the review process. Most importantly, our utilization review system integrates with our bill review system, our case management system, and our claim system, to provide for coordinated care. For our clients, our automated utilization review platform allows us to customize the utilization review process.